The potential of Hammada scoparia (Hamm.) and Halocnemum Strobilaceum (Halo.) growing in Benghazi-Libya for soil phytoremediation purpose has been evaluated. Hammada scoparia (Hamm.) and Halocnemum Strobilaceum (Halo.) and their roots soil samples were collected and analyzed for Cd, Ni and Pb concentrations in a salty area in the north coastal region of Benghazi, near Benghazi asphalt factory, Benghazi steel factory, Brega oil company sorage tanks, and north Benghazi power station. 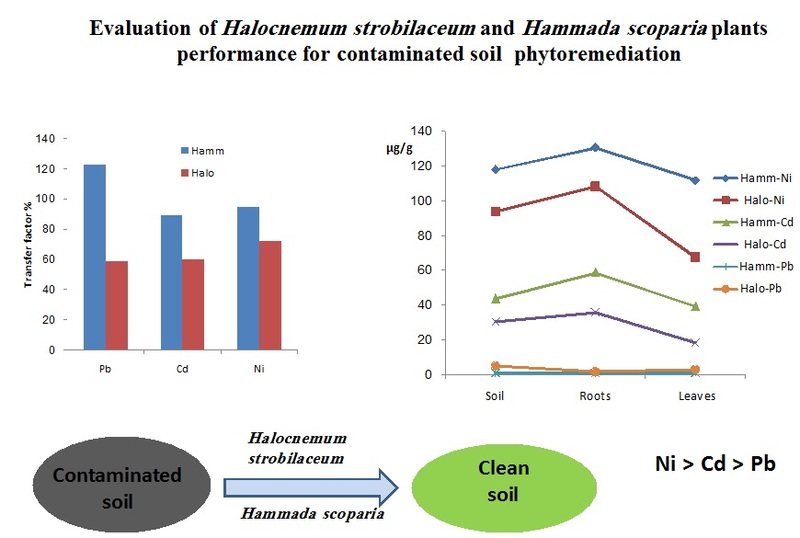 The biological absorption coefficient (BAC), bioconcentration factor (BCF), and translocation factor (TF) of Hammada scoparia and Halocnemum Strobilaceum have been calculated. Both plants are moderate extractor, they tend to phytoextraction process except Halo tends strongly to phytostabiliztion process in case of Cu and Fe. 1. J. Liang, C. Chen, X. Song, Y. Han, Z. Liang, Int. J. Electrochem. Sci., 2011, 6, 5314. 2. R. Sharma, M. Agrawal and F. Marshall, Ecotoxicol. Environ. Saf., 2007, 66, 258. 3. R. Abdul Aziz, S. Abd Rahim, ,I. Sahid, W. Idris and A. Bhuiyan, American-Eurasian J. Agric. & Environ. Sci., 2015, 15 (2), 161. 4. P. Nanda Kumar, V, Dushenkov, H. Motto, I. Raskin, Environ. Sci. Techno. 1995, 29, 1232. 5. U. Kraemer, Annu Rev Plant Biol, 2010, 61, 517. 6. T. Trofimova, A. Hossain, J. Teixeira da Silva, The Asian and Australasian Journal of Plant Science and Biotechnology, 2012, 6 (Special Issue 1), 108. 7. A. Mohsen, M. Elhaak , E. Hammada and F. El-Gebaly, IJAPBC, 2015, 4(4): 809. 8. L. Midhat, N. Ouazzani, M. Esshaimi, A. Ouhammou, L. Mandi, International Journal Of Phytoremediation, 2017, 19, 2, 191. 9. Z. Fischerova, P. Tlustos, J. Szakkova, K. Sichorova, Environ. Pollut., 2006, 144, 93-100. 10 W.J. Fitz and W.W. Wenzel, Journal of Biotechnology, 2002, 99, 259. 11 Ines Galfati, Essaid Bilal, Aicha Sassi, Hassen Abdallah, Ali Zaier, Journal of Earth and Environmental Sciences, North University Center of Baia Mare, Romania,2011, 6 (2): 85. 12 Cui, S., Q. Zhou and L. Chao, Environmental Geology, 2007, 51(6): 1043. 13 M.S. Li, , Y.P Luo. and Z.Y. Su, Environmental Pollution, 2007,147(1): 168. 14 E.M. Behrouz, , C. Abdolkarim, Y. Nafiseh, L. Bahareh, Pakistan Journal of Biological Science, 2008, 11(3): 490. 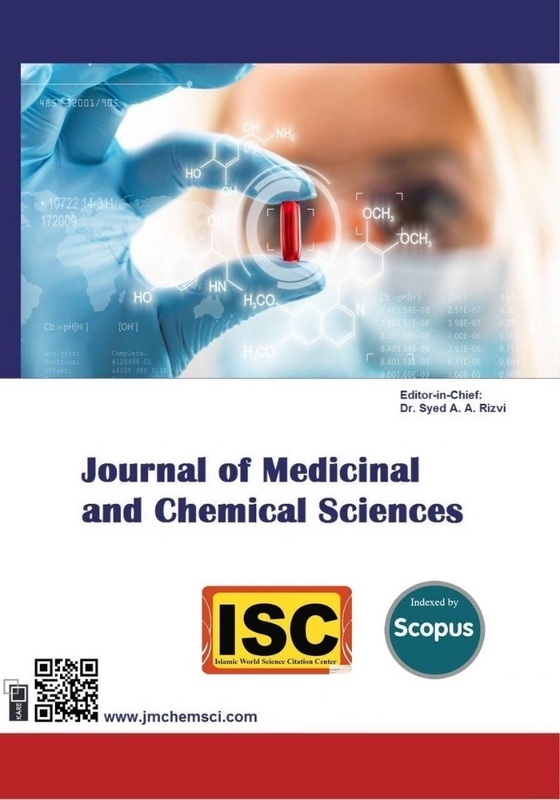 15 N. Bader, E. Alsharif, M. Nassib, N. Alshelmani, A. Alalem, Asian Journal of Green Chemistry, 2019, 3 (1): 82. 16 W. Yang, Z. Ding, F. Zhao , Y. Wang , X. Zhang, , Z. Zhu, and X. Yang, J. Geochem. Explor., 2015, 149, 1. 17 P. Trueby, 2003. Impact of Heavy Metals on Forest Trees from Mining Areas, Ontario, Canada: International Conference on Mining and the Environment III. 18 M.B. McBride, Journal of Environmental Chemistry, 2007, 4, 134. 19 J. Rodriguez, E. Wannaz, M. Salazar, M. Pignata, A. Fangmeier, J. Franzaring,. Atmos Environ, 2012, 55, 35. 20 Whitehead, D.C. Nurtient elements in grasslands: Soil-plant-animal relationships. CABI Publishing, Wallingford, 2000. 21 B. Cerqueira, , E. Covelo, M. Andrade, F. Vega, Pedosphere, 2011, 21, 603. 22 P, Zoufan, A. Saadatkhah, S. Rastegarzadeh, Progress in Biological Sciences, 2015, 5,181.